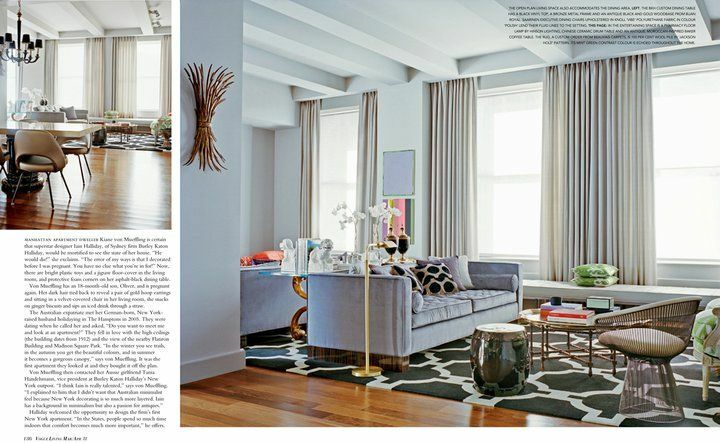 Don't you love it when another publication prints the same space that was previously enjoyed in Elle Decor but you don't mind because it is a really great space. 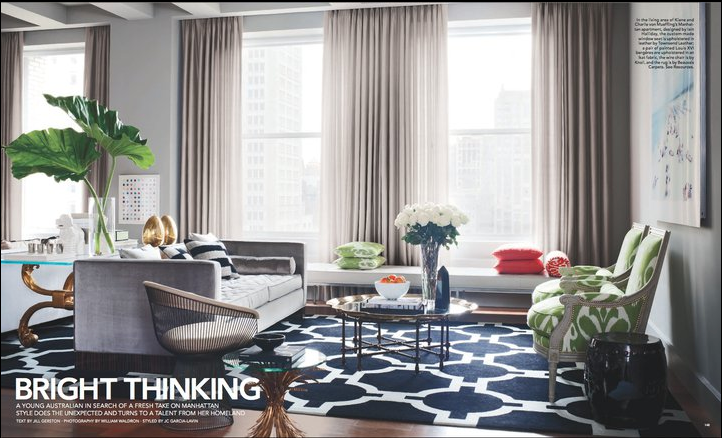 I am confused by that rug..is it navy blue or black? 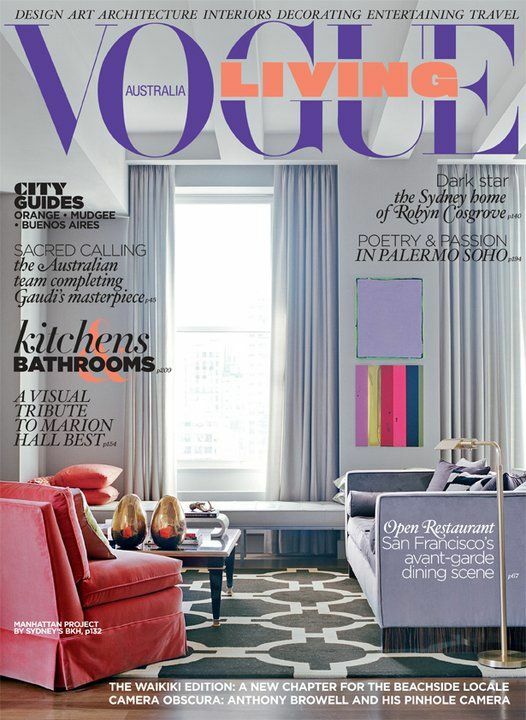 It looks black here in Vogue Living but navy blue in Elle Decor as seen below. I think black..what do you think? Which ever way you slice it the above space was designed by the talented Burley Keaton Halliday, an architectural and interior design practice based out of both Sydney and New York. and yes, i think the rug is black. Crazy how the same image can look so different through different lenses. I am guessing black as well, but either looks hot to me. 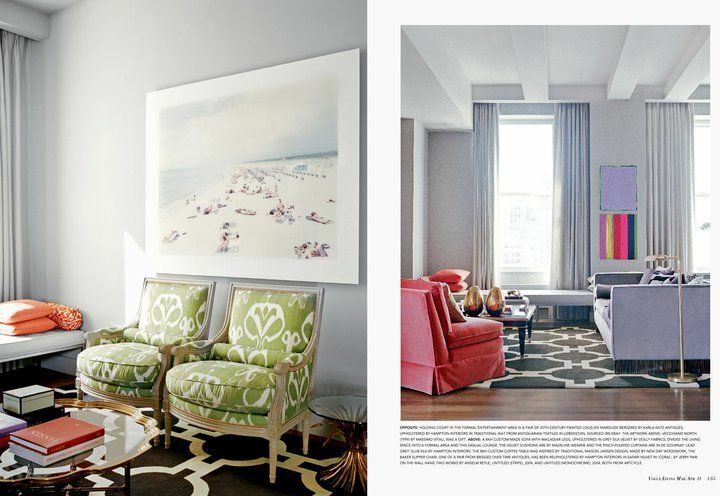 LOVE the rug ... gorgeous design, I was actually thinking to paint my floor in that pattern, but think a rug would be an easier fix! I agree, I think it's black too, but guess you never know with all the editing and photoshop these days. Love the beach art throughout the house. I swear I rushed straight to the newsagent after reading this and the mag wasn't there!! Damn! Guess I'll have to keep my eyes peeled for when it comes out! 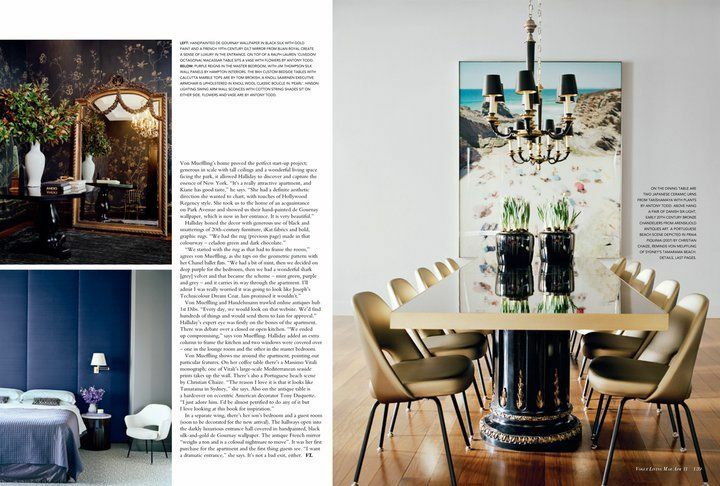 Vogue Living is one of the best interiors magazines and it's Australian! Fabulous. That was one of my fav rooms as well. 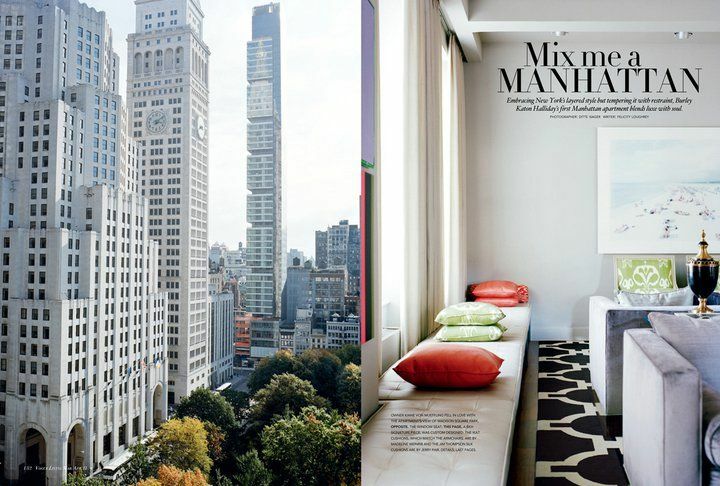 Thanks for posting this -- I adored the first ED spread and am thrilled to see this stylin' repeat offense. Interesting about the color! I like the blue look...it's reminiscent of a nautical theme. What beautiful spaces! I think black too and I love that rug!! It would look great in my lair. I thought I had seen that space before! I love it as well!